This blog was born. I wasn't sure I'd like blogging, but it turns out I do. It gives me a chance to share what I love with an audience, and hopefully "opens up" the bigfooting community a little. Besides, I'm a teacher and I like to write. 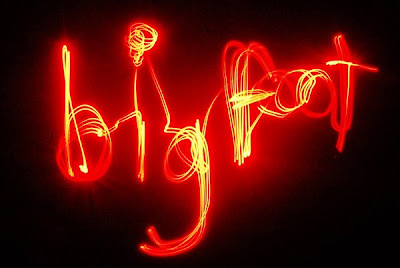 This is traditionally a very slow bigfooting month, but I did stumble across some cool bigfoot art. 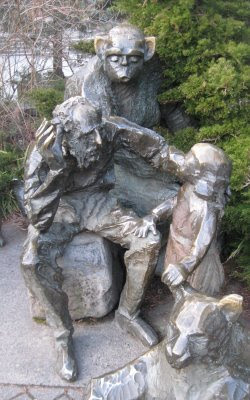 I was at the Oregon Zoo to film the chimps and orangutans with thermal imagers for future comparisons when I ran across a sculpture by Richard Beyer. Cool stuff, and Mr. Beyer uses bigfoots in several of his other pieces. Possible sasquatch prints were found on nearby Memaloose Road at the end of February, so I spent a fair amount of time in the area over the next few weeks. I even drove to the area to have dinner in the woods instead of eating in a nice warm restaurant. No activity was noted, but I froze my hiney off. Later in March, I took a week-long trip to the Olympic Peninsula. Cultural signs of sasquatch were everywhere, but I found no indications of the biological reality. 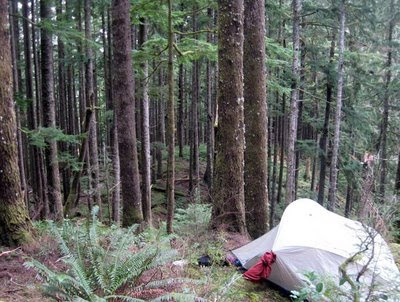 I did find new roadways to campsites that had been previously cut off, and I spoke to a number of excellent witnesses. The Olympic Mountains are probably the 'squatchiest place I've ever been. If you can get out there, do yourself a favor and go. Speaking of the Olympics, in March I was invited by Derek Randles to help him with the "Olympic Project". The OP is a multi-member effort that includes Derek Randles (co-owner and discoverer of the Skookum Cast) and Wally Hersom (who sponsors a small number of bigfoot researchers in an effort called the "Hersom Project") with the objective to photograph a bigfoot. Derek has placed numerous trail cameras on the ridges of the Olympic Mountains to capture images of apex predators, such as cougars and sasquatches. Derek and a small group of his friends (including me) hiked to a ridge outside of Forks, WA to place several cameras and to collect the memory cards from others that were left there six weeks before. We obtained great photos of cougars and bears, but no sasquatches on that trip. I suspect that Derek will be successful eventually. His plan is well planned, systematic, and fun for he and his colleagues. 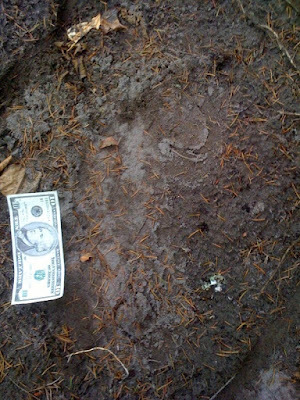 Possible bigfoot activity was noted at the Sandy River Project Site #1. It is well-noted in the literature that sasquatches sometimes slap or pound on the outside of houses, and this is possibly what occurred in this case. At the time of this writing, the property owner is living in downtown Portland, so nobody on the property is up in the middle of the night. Due to this, little activity has been noted for several months. This same property owner also obtained another parcel nearby. As the structures on this property were being renovated, possible sasquatch activity occurred. I have been monitoring the location ever since. As I write, I have three cameras at the site, which I refer to as the Sandy River Project Site #2. 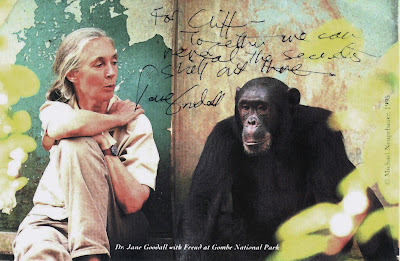 A reader of this blog managed to get Jane Goodall's autograph for me. He even gave her one of my cards! I love Ms. Goodall. She has publicly stated that she believes that a combination of good photographic evidence combined with reputable scientists witnessing and studying the animal can prove the existence of the sasquatch without the need for a type specimen. This is where all of my efforts are now focused. I hope we can move past the Darwinian model of proving a species exists ("I've never seen that kind of bird before! Let's kill it to prove it's real! "), and into another paradigm. She's a pillar of compassion that we can all learn from. Excellent footprints were found on the Olympic Peninsula at the end of April, and I had a chance to borrow the cast for copying at the beginning of May. The print had deteriorated badly by the time the witnesses returned to the site, but at least they tried to obtain a cast. Kudos to them! 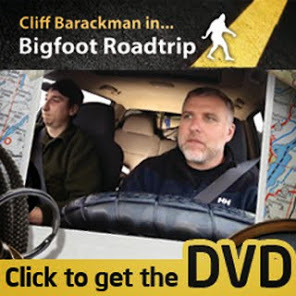 The big news for May was the Yakima Bigfoot Round-Up. I'll spare you a lengthy recap, but suffice it to say it was the bigfoot party of the year, hands down. After having seen Mike Greene's thermal video of a sasquatch from North Carolina, I thought that it would be a good idea to do some tests. I wanted to see what a human would look like in various clothing through a thermal imager, so I took it upon myself to get it done. A couple of my field partners and I went to the woods outside of Estacada, OR to film my running around. Below are the results. I love July. I always do great things since I'm out of school (work) and the weather's great. This year was no exception. 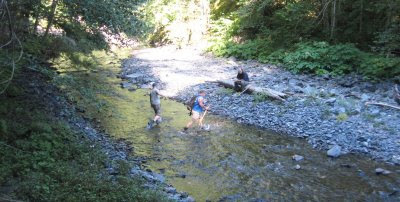 I did some bigfooting in the Coast Range, checked out a sasquatch parade, followed up on some older reports up by Morton, WA, worked the Sandy River Project Site #2, and even did a week or so in Bluff Creek with a bunch of friends. Gotta love summer! Relishing my last month of summer, I took to the woods as much as I could. I spent time with Thom Powell doing some unconventional squatching, did some solo trips to out-of-the-way locations, and did some time in Gifford Pinchot National Forest. A highlight of this month was "Beachfoot", a small informal gathering organized by Todd Neiss. 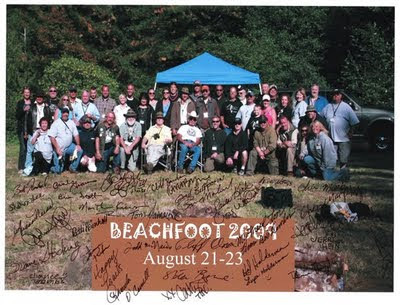 It was a time to meet, or get reacquainted with many folks throughout Bigfootland. Some of my regular squatching buddies rolled up from California, as well as some that rolled down from Washington, and even others from back east. August was also the month were I entered Columbia's Pioneer of the Outdoors contest, in which I later came in second place. That was a fun project to dabble in, and thank you to all of you who helped me in this silly little endeavor. My website, http://www.northamericanbigfoot.com/ was chosen as "Bigfoot Site of the Day" by Linda Martin of Happy Camp, CA. She runs http://www.bigfootsightings.org/ out of her small home town. Thanks, Linda! On September 9, two fishermen found possible footprints on the bank of the Sandy River, not far from SRP2. The prints were destroyed by an ATV before I got to the location to cast it. 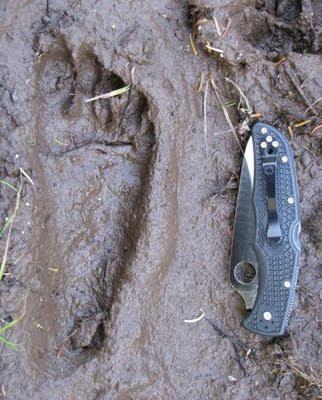 I spent the weekend with a number of bigfooters northwest of Yakima, WA. Not only did I find out that Bob Gimlin loves my mother's homemade cookies (who wouldn't? ), but I was physically threatened by an ignorant tweeker on public land. That was a first, and hopefully a last. 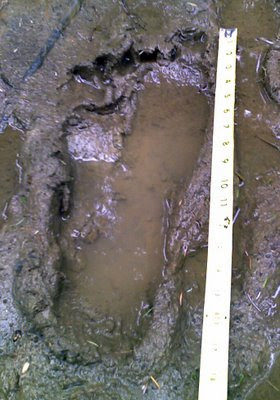 The beginning of October brought an excellent photograph of a footprint from northwest Montana. It is as clear as they come, and it even had a scale item in the photograph. Though the footprint's size is well within human range, the context of the impression suggests another source. We'll never know, but the important part is that the witness tried to document and share the data. We should all follow her lead and do the same! And of course, the PG Film anniversary was on October 20th. Where were you? The highlight for this month? 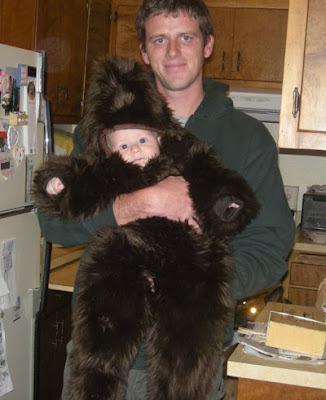 One word... "Babysquatch". 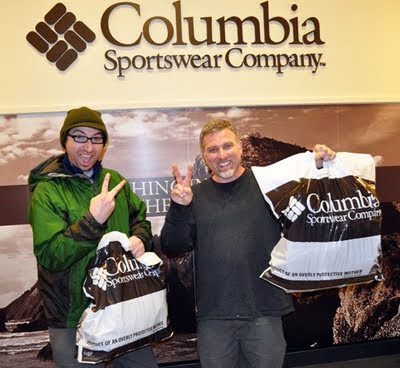 Despite "software glitches", voting irregularity, and numerical funny business, I was announced as Columbia Sportswear's Pioneer of the Outdoors runner-up. Thanks to both Columbia for choosing a bigfooter to represent them, and to you the bigfooting community for supporting me. Of course, lots more occurred in 2009. Some important stuff, too. I barely touched on Mike Greene's thermal footage. The whole "Massacre at Bluff Creek" nonsense got a lot of momentum, unfortunately. There was that Kentucky bigfoot/crow photo that stirred some interest for a short while, as well as a small number of other hoaxed items. I suspect 2010 will be a good one. Every year seems a little more interesting than the last, and I suspect this trend will continue. I hope you get into the woods a lot, and if you do, please do me a favor. Bring back data, not just stories. Let's work together to solve this mystery. The name is Bigfoot Fancy.